Michelle Langley summarises a new scientific paper which shows the turn towards Asia and Australia for evidence for humankind’s earliest history. Marsupial lions are even further back but also have an interesting story to tell, says Anna Gillespie. Jack Latimore in Guardian Australia laments the lack of consideration of chemical restraint (‘the settlement needle’) in the NT Royal Commission report. And Paul Daley in Guardian Australia on the late Aboriginal activist, Mr Bellear. In October, researchers from the University of New South Wales and the Public Interest Advocacy Centre released a report which showed the STMP [Suspect Target Management Plan] was overwhelmingly aimed at young people and Indigenous Australians, and resulted in “oppressive policing”. An exhibition at Bunjilaka Aboriginal Cultural Centre on massacres of Indigenous Australians in Victoria (New Daily). Ranjana Srivastava in Guardian Australia on how Indigenous Australians come off worst on all health statistics. Paul Daley in Guardian Australia about how concern over a wind farm being built near the Bullecourt battlefield is not replicated for Indigenous killing grounds in Australia. Alison Carroll writes in The Conversation that overcoming that traditional and persistent Australian ‘cultural cringe’ really depends on making more of the oldest continuing culture in the world – which is also Australian. The ADB’s Malcolm Allbrook writes in The Conversation about a project to redress the massive imbalance between white and black lives in this national institution. The balance has improved since but there is still a long way to go. John Shield reviews Nick Brodie’s The Vandemonian War. The media release from the government. ABC report, including comment from Senator Pat Dodson and others. Michelle Grattan in The Conversation. Calla Wahlquist in Guardian Australia, with comments from Indigenous representatives. Gabrielle Appleby in Inside Story. 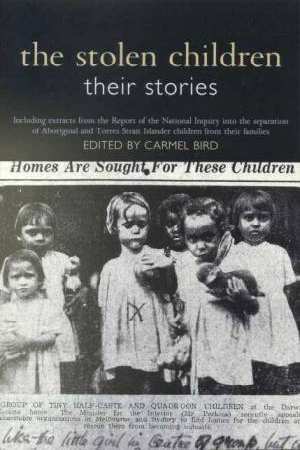 Cassandra Pybus (from Griffith Review 58, here extracted in The Conversation) on the journey of Wooredy and Truganini – Indigenous Tasmanians who ultimately ‘lived through a psychological and cultural transition more extreme than most human imagination could conjure’ – across Tasmania with George Augustus Robinson in 1830. We are spending more than we would like on reacting to disadvantage (for example, A$4.1 billion on “public order and safety”) compared to activities that reduce disadvantage (for example, only A$1.3 billion on tertiary education or A$411 million on early childhood education). What we still don’t know (and can’t extrapolate from this report) is whether the money we are spending on Indigenous Australians is having any positive impact whatsoever. This report certainly doesn’t provide the data or the level of policy rigour to answer that much more important question. More targeted information and higher-quality evaluations are urgently needed. Crucially, Indigenous peoples need to be involved at all stages to provide more meaningful answers. There is a link to the full Bringing Them Home report. Paul Daley in Guardian Australia writes that the copyright has, after a long battle, been transferred to the artist’s family. It is a wonderful result for Namatjira’s legacy and, of course, his people. But it is also a salient reminder of just how oppressive post-colonial Australian society was for Indigenous people less than an average (white) lifetime ago, how pitifully slowly things have changed and of the enduring inequity between black and white Australia. For more on Namatjira, scroll down to 22 July item in May-August 2017 page. Jane Lydon in The Conversation explores the attitudes of colonial settler-artist George Hamilton to horses and to Indigenous Australians. Here we see the emotional logic of Hamilton’s imperial cultural hierarchy and his political deployment of compassion. Suddenly, the seeming incongruity of Hamilton’s scorn for threatening Aboriginal people alongside his sympathy for the faithful horse makes perfect sense. Lucino Crispino writes in The Conversation about Indigenous film-maker Warwick Thornton’s Sweet Country, on frontier violence in the Northern Territory in the 1920s. The fuss over allegedly racist Dove soap commercials brings back memories of Australian cosmetics and soaps which claimed whitening powers and used Aboriginal caricature figures to make the point. Honest History distinguished supporter, Liz Conor, writes in The Conversation. Archaeologists and forensic scientists report on possible evidence of burning of bodies after a 1922 massacre in the Kimberley area of Western Australia. Local land council director, Wayne Bergmann, said, “It is really important for Aboriginal people to have the truth told, and I think it brings a level of relief to confirm that the stories passed on through generations and being retold in paintings has a factual base. This is real.” The full report will be published soon. Update 1 November 2017: archeologists Pamela Smith and Keryn Walshe write in The Conversation, following the publication of their report in Forensic Science International (linked from the article). We believe our research confronts a significant cultural boundary that – apologies aside – political leaders have failed to address. We cannot undo the past, but we can acknowledge that these events are part of both Aboriginal and white histories – they are real and Aboriginal people still suffer the pain of the past. Aaron Corn writes in The Conversation about the legacy of Dr Gumbula relating to the Manikay song tradition which ‘perpetuates a body of knowledge that has enabled the Yolŋu to live in Australia for untold millennia’. A little earlier, we put together this collection provoked by the Seven Sisters exhibition at the National Museum of Australia. 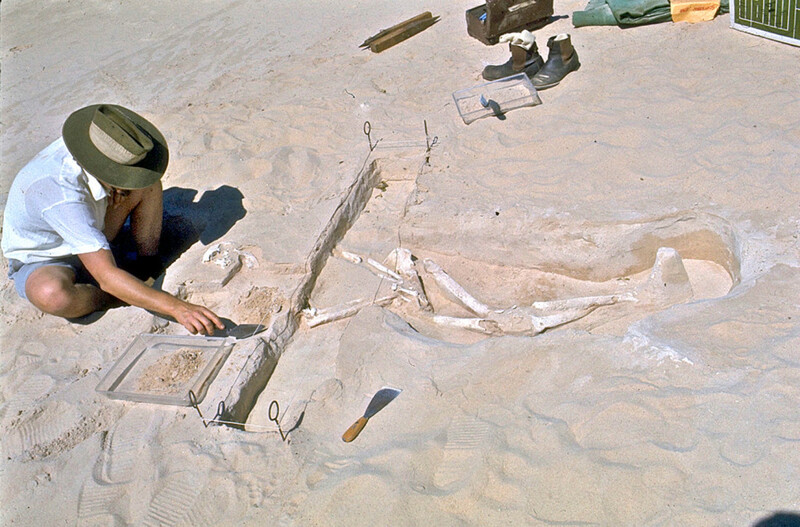 Mungo Man, 40 000 year old remains unearthed 40 years ago at Lake Mungo, are to be returned home in November. (And they were.) The remains have been in the custody of traditional owners in Canberra since 2015. Paul Daley on repatriation of remains generally. Update 6 July 2018: 50th anniversary of the discovery of Mungo Lady. A handy link from The Briefing to recent reports on Australia’s relatively high prison population, including a critique from the UN of Closing the Gap. If monuments to colonial folly and violence are allowed to stand they must be interrogated in a manner that ensures that a more informed story is told. Complexity, though, is not the purpose and role of nation-building commemorations. Statues are erected to tell a simpler story; a story of uncomplicated hero worship. If we are to recognise heroes, then where are the stories of Aboriginal courage? ‘The teaching of Australian history is, still to this day, in most universities and high schools, superficial, nonsensical and wrong. Most Australians don’t know their own history, let alone the history I’m talking about’, says Professor Gary Foley from Victoria University. Professor Foley talks about the (digital) Aboriginal History Archive and there are links to other relevant material.